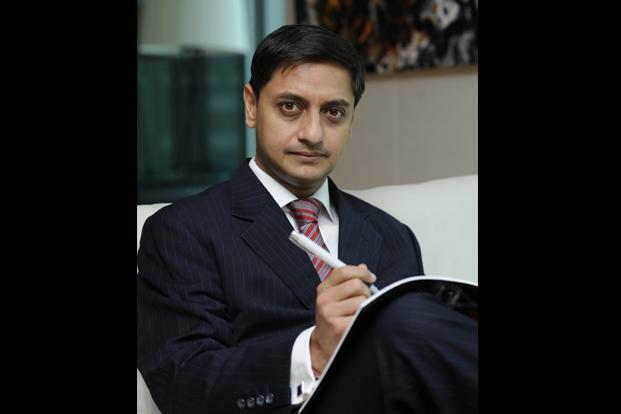 Singapore: Prime Minister Narendra Modi has a very specific development strategy, and it involves moving India away from its current services-driven growth trajectory to an East Asian-style export-led growth model, based on the mass deployment of labour and capital, Sanjeev Sanyal, global strategist at Deutsche Bank AG, said in an interview. The East Asian model is not just about manufacturing but about creating a virtuous cycle of savings, investment, exports and employment creation, and given India’s demographic stage, it is a good time to attempt this strategic shift, he added. Edited excerpts: You share the view that a clear and internally coherent economic model is emerging from Prime Minister Modi’s speeches and policy actions, and you also believe India, under the new government, is shifting from its current services-driven growth trajectory to an East Asian growth model. What has led to these conclusions? Listen to what PM Modi repeatedly talks about—export-led manufacturing, infrastructure building, urbanization, expanding the banking deposit base to mobilize savings, mass employment generation and so on. Put them together and they spell out a very specific development strategy—the East Asian model based on the bulk deployment of labour and capital. Japan was the first country to pioneer this growth model, but it has since been replicated by Taiwan, South Korea, Singapore and, most recently, China. It is a well trodden path even if each country modified the strategy to suit its own requirements. Of course, this model, too, comes with risks, but every strategy will come with risks. Only time will tell if Modi can successfully anticipate these risks and navigate through them. For the moment, it is important to recognize he is less India’s Thatcher, and more of an East Asian modernizer like Lee Kuan Yew. What is the East Asian manufacturing-led model? Is this model replicable in India? The East Asian model is not just about manufacturing but about creating a virtuous cycle of savings, investment, exports and employment creation. Let’s say, an initial injection of foreign direct investment (FDI) boosts infrastructure spending. This infrastructure makes the economy more competitive and encourages manufacturing exports. Sanjeev Sanyal says Prime Minister Narendra Modi’s development strategy involves moving India away from its current services-driven growth trajectory to an East Asian-style export-led growth model. In turn, jobs are created by both manufacturing and construction which boosts savings. These savings are then deployed back into investment by an expanding banking system. Obviously, this is a very simplified version of the model; there are many more ingredients that are needed to keep this cycle going. The central bank, for instance, has to be willing to hold the exchange rate weak and accumulate reserves. At some point, once inflation has been tamed, the cost of capital needs to be lowered significantly. Given India’s demographic stage, this is a good time to attempt this model. But there is no guarantee that it will succeed. Indeed, countries like Thailand and Indonesia appeared to have triggered the cycle in the 1990s, but they were unable to sustain it due to the Asian Crisis of 1997-98. So a lot depends on how this process is implemented and managed. Data indicate India must create 10 million additional jobs per year till the next elections to keep up with demographic expansion alone. Data further show unemployment among graduates is as high as 32%. You are of the view that Modi’s mandate is to clear up the pipeline that allows the increasingly educated children of farmers to join the middle-class. Is manufacturing the only solution to address this issue? India’s services-driven growth model managed to generate periods of rapid growth over the last 20 years. However, it disproportionately benefited the existing English-speaking middle class and did not generate enough jobs for the wider population. Thus, services now generate 60% of GDP (gross domestic product) but employ only 26% of the workforce. In contrast, half of the workforce remains trapped in agriculture that generates only 13% of GDP. Therefore, you need to get another sector to generate the jobs required to meet the aspirations of those who wish to shift from farming, as well as absorb the additional 10 million young people who are being added to the workforce by demographic expansion. Industrialization, which includes manufacturing, utilities and construction, is required as an additional engine of growth. The share of industry in GDP has remained stuck at 26% since the late 1980s but its share in employment has steadily increased. It is clearly needed for generating jobs for the semi-skilled workers who aspire to enter the middle class. As an aside, agriculture also cannot be totally written off. We need agricultural reforms to allow the sector to mechanize and grow even as workers are pulled out of it. What does the government need to do in order to get firms to invest again? The immediate thing that needs attention is to revive the large number of stalled infrastructure projects. I believe the government is already working on this. Longer term, investment-led growth requires a stable macroeconomic environment, a rational tax structure, laws/regulations/procedures that are not unduly burdensome and, finally, a judicial system that efficiently enforces contracts. Basic infrastructure like power, ports, railways and highways are also critical. Investing is inherently a risky activity, so investors want an environment that minimizes uncertainty and friction… The time has come to systematically implement the solutions. Who will finance this new model? Are banks equipped or large enough to fund manufacturing led growth? India needs to push its gross investment rate to 38-40% of GDP in a 5-10 year horizon. FDI is one way to get the cycle moving. It brings in capital but also technology, best practices, linkages and so on. However, the East Asian model is ultimately about mobilizing and deploying domestic savings. This means that the financial system, especially banks, will have to be expanded by an order of magnitude. Herein lies one of the biggest risks of the East Asian model. The Asian crisis of 1997-98 was partly due to a failure to manage the financial sector expansion. Even Japan and China have had problems managing this sector. This is why the role of the Reserve Bank is critical—it needs to make sure financing is available for investment-led model, and ensure poor capital allocation does not break the system. But can manufacturing take off without reforming India’s labour laws? Will the current government have the courage to touch this politically sensitive issue? Will state governments support the centre on this? Since this model is based on the mass deployment of labour, it requires a rational set of labour laws. It is not just about the content of Indian laws but the bewildering number of labour-related rules and regulations that a business needs to negotiate. The irony is that in the name of protecting workers, the laws have left the bulk of the workforce languishing in the unorganized sector. What India needs is a simple, clear set of rules that are widely applied—especially those related to worker safety (critical, since manufacturing and construction can expose workers to numerous hazards). The good news is that for the first time we are seeing state and central governments looking seriously at making changes. We should watch this space closely. Assuming that these laws are amended and the investment cycle revives, can India absorb millions of workers into the urban landscape to make this model work? Until very recently, policymakers saw urbanization as a bad thing that should be discouraged. Lately, the realization has dawned that urbanization is the inevitable spatial manifestation of development. If Modi succeeds in triggering the East Asian model of growth, India will urbanize just like China has done over the last two decades. Indeed, it will be an urban-majority country within a generation. Nonetheless, the PM recognizes Indian cities are not prepared for the deluge. This is the reason he keeps emphasizing the need to build 100 smart cities. So far, however, we do not have details of how he intends to build these cities. Must the rupee be kept weak for this model to succeed? There are several economists who feel the rupee is too weak and that it should be much stronger. However, it is important for this model that the rupee is stopped from appreciating too much from current levels even if there are strong FDI inflows. First, a weak exchange rate will provide Indian manufacturing exports with an initial competitiveness boost. Second, it will allow for the accumulation of foreign exchange reserves. Some economists think that large reserves are a waste, but I disagree. The reserves are an important bulwark against external shocks which is especially necessary when a rapidly expanding financial sector may be vulnerable. Finally, an investment boom could initially feed the current account deficit until such time the savings rate perks up. So, in any case, the rupee may not quite be as undervalued as people think. Manufacturing cannot succeed in isolation—the country needs reforms in infrastructure—roads, railways, ports—in the power sector, financial services as well as oil and gas, mining among others. Can all of it come together for this model to succeed? As I said, the East Asian model is not only about manufacturing but about a virtuous cycle. The building of infrastructure is important as it boosts the supply-side but is simultaneously a source of demand and a job creator. So it is very important that infrastructure projects get implemented smoothly. The mining sector, too, is critical—especially coal. Given that the new growth trajectory will be more materials- and energy-intensive, it is important that the government thinks through the environmental trade-offs very carefully. We cannot be certain that PM Modi will succeed. There are many roadblocks and risks along the way. However, it is becoming clear there is a coherent plan. Only time will tell if it will work. There is s genuine resolve but there are also genuine roadblocks. Why has India’s total factor productivity (TFP) growth, that has averaged around 2.5% in the past decade, declined almost each year since 2007, and is presently running well below 2%, while countries such as Indonesia, Philippines, and Thailand have seen TFP rise during the same period. There are many signs that productivity has slowed since 2007 although I am not sure of the exact TFP numbers you have quoted. There are several reasons for this slowdown. The economic reform process has been stalled for many years, and the productivity gains of previous rounds of reform have run their course. There are some sectors that have seen no reforms at all—most notably agriculture. Furthermore, numerous infrastructure and other projects lie stalled across the country. This is resulting in inefficiencies and severe bottlenecks. In order to revive productivity growth, the reform process needs to be urgently revived. China and South-East Asia still provide better infrastructure, flexible labour laws, stable policy and regulatory environment, among other factors. Even if India were to undertake major reforms, why should any of the existing manufacturing facilities shift base to India? Make no mistake, China remains a formidable industrial power. However, Chinese wages have been rising rapidly for years. Its workforce has peaked and will now decline steadily from here. So the country will have no choice but to move up the value chain and adapt. For the same reasons that production moved to China from Japan and the West, many industries will move to lower cost locations. Some of these may be absorbed by South-East Asia, but there is no reason India cannot compete with Thailand or the Philippines. They have their strengths, but India has its strengths. For instance, India has a much larger internal market that can be used to achieve scales that few other nations can individually aspire to. As just demonstrated by its successful mission to Mars, it also has technological capabilities that are on a different level.